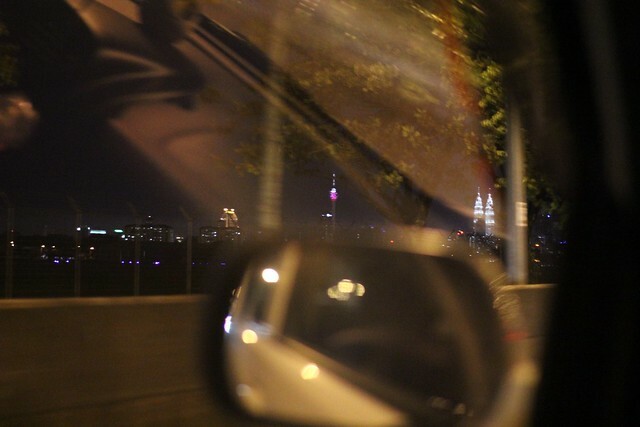 #1: On the way to Ampang, and saw the city of Kuala Lumpur from the car. The skyline looks quite nice at night. 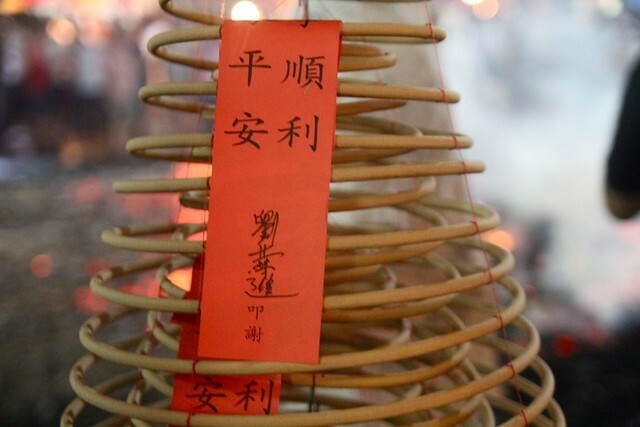 Nine Emperor Gods Festival At Ampang – Two weeks ago, I went to Ampang with my friends from Penang – Arron and Tee Jin to go check out the Nine Emperor Gods Festival here in Kuala Lumpur and also to pray. 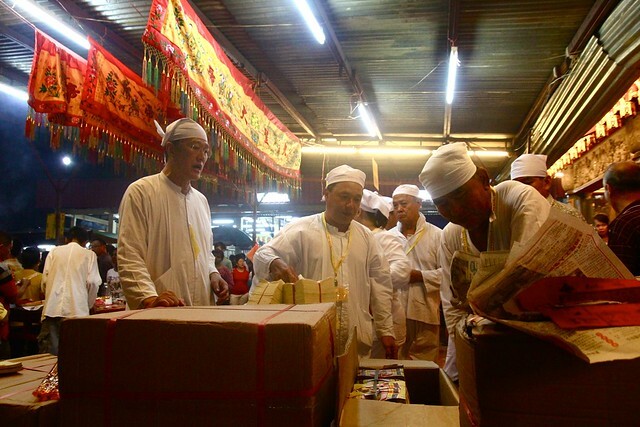 In Penang, it’s a very happenings festival which attracts lots of tourist and devotees to join the procession and praying and I would like to see how the festival is celebrated here. 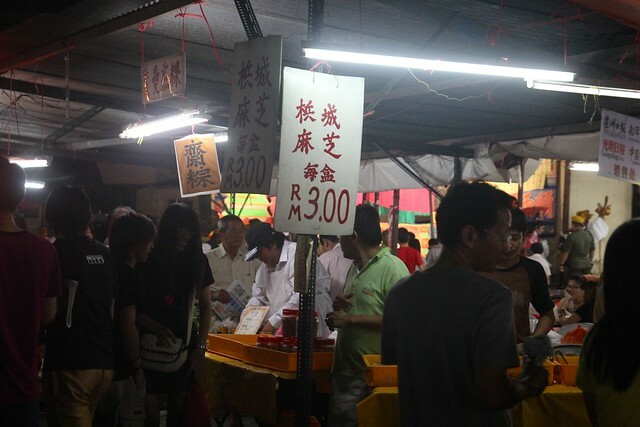 #2: Looks like pasar malam and the temple is ahead. 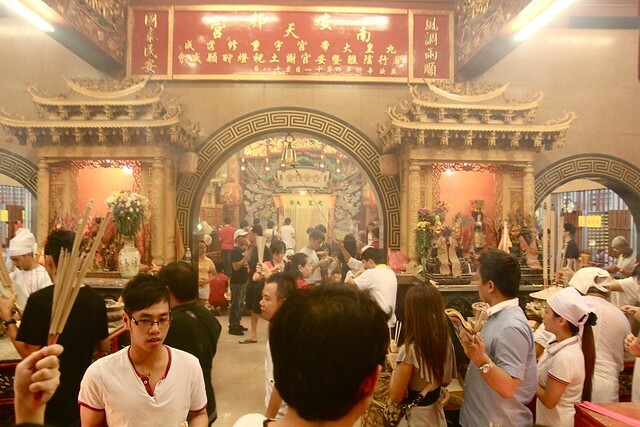 The location of the temple is at Ampang and it’s the place I know that’s famous for this Nine Emperor Gods Festival in Kuala Lumpur. GPS was our guide to the location it took about half an hour from Kelana Jaya to there. Traffic was pretty smooth that night. Everything went smooth. 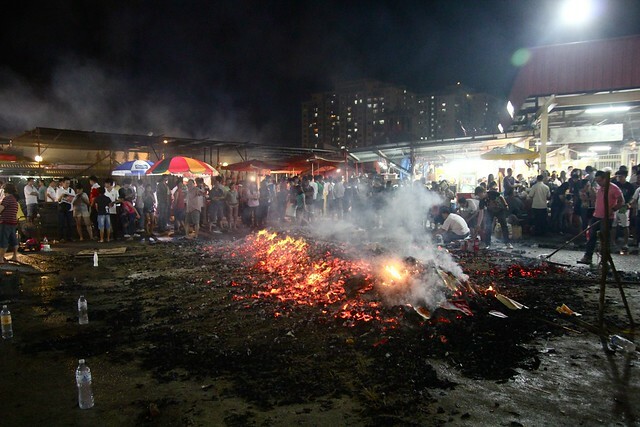 #3: Burning ground for burning gold paper for the god. The temple is located in a Chinese village, and it’s kinda cool that there’s still village located so close to city. 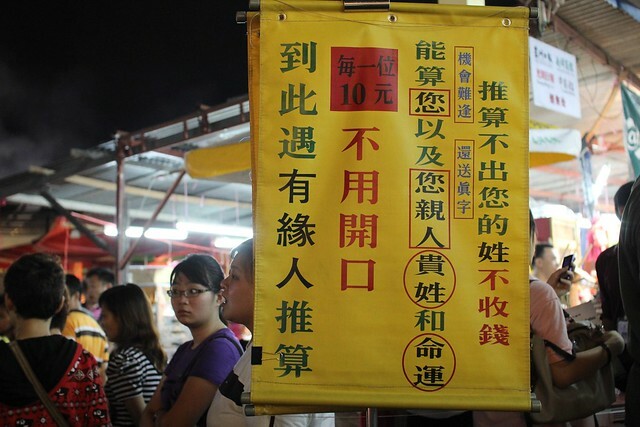 #4: The stall says that he know your surname and your luck, sort of like fortune teller, but after checking out how he did it, it’s actually works like a formula. He shows people a series of card with a number of Chinese’ surname in it, you will be asked with question of whether your surname is in the card or not. After a few times of asking, he will then tell you your surname. Then he will pass you a paper writing your fortune. HAHAHA. RM10 for per “game”. #5: A Toaist sifu giving a sort of like a talk show, telling people to see some number and stuff, but after 5 minutes of seeing him, I have no idea what he was trying to sell. #6: Arron on the left. 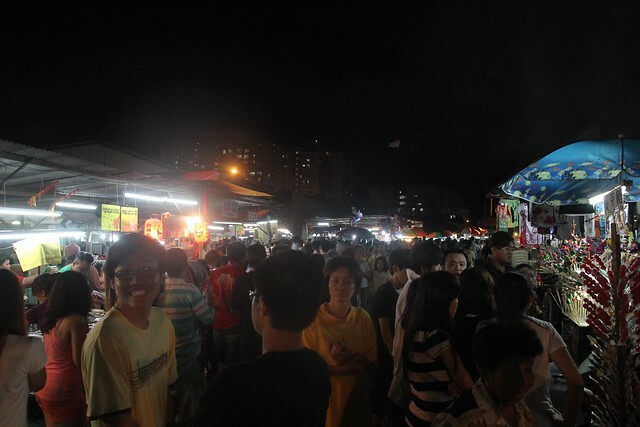 It’s like night market in there, just like a carnival, instead of a festival like in Penang. Well, upon arriving, I got to say, it looked totally different from the festival in Penang. There’s many people, it’s very happening at there, people kept flocking in, there’s people praying in the temple, but what’s difference is it’s like a night market, there’s many stall selling stuff like DVDs, cloth, street food (vegetarian), toys, collectibles and more! It’s more like a carnival to me. 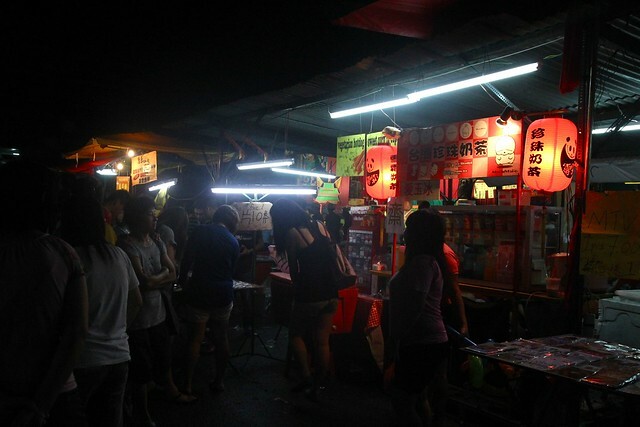 #7: Selling vegetarian street food. #8: Mini auction selling collectible, all started from RM5. It’s an eye opening day because I never see this kind of auction before and the seller claim that their collectible worth few hundred bucks which I don’t really believe, I think it’s just another “MIC (Made In China)” stuff. The night market thingy had been there for nine days and it was the last day. 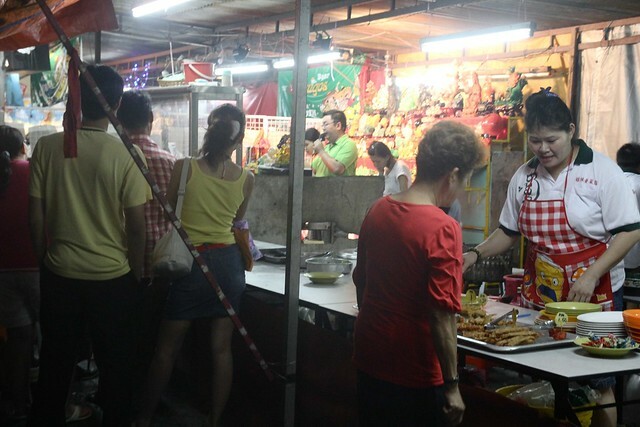 In Penang, you will only see yellow banner vegetarian food stalls for nine days and all the Nine Emperor Gods Temple lighted up for nine days, but you won’t find carnival stalls like this at there. 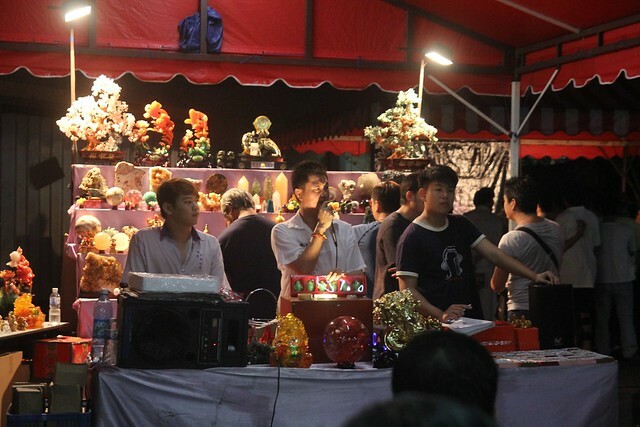 #9: Another auction stall at there. This one started at RM2 with smaller item and I think there’s people of them hiding themselves among the public to try to raise the price. We did try to raise our hand for fun with the maximum bid of RM10 for 3 of us. And we actually bought ourselves a mini Fu Lu Shou. HAHA. 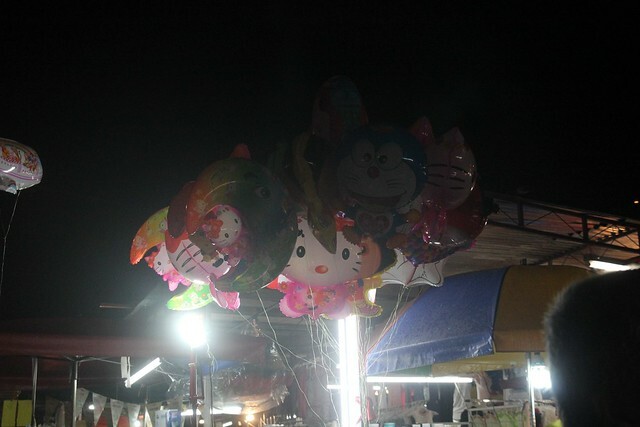 #10: There’s cute cartoon balloons too! 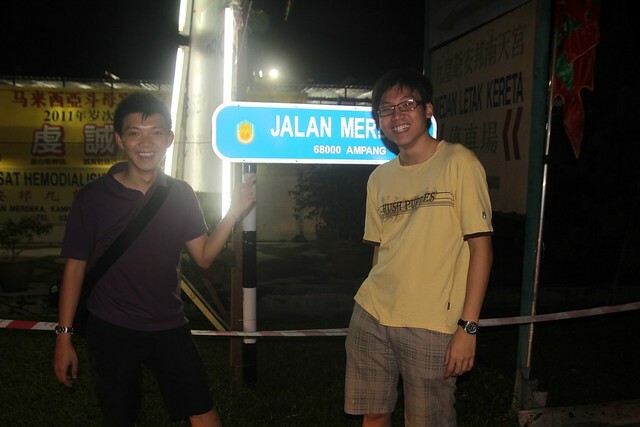 #11: Penang’s Muar Chee. It’s good to see the word “Penang” at there which makes me think about home. #12: You can even find bubble tea there too! We traveled through the seas of people to check out what’s there. 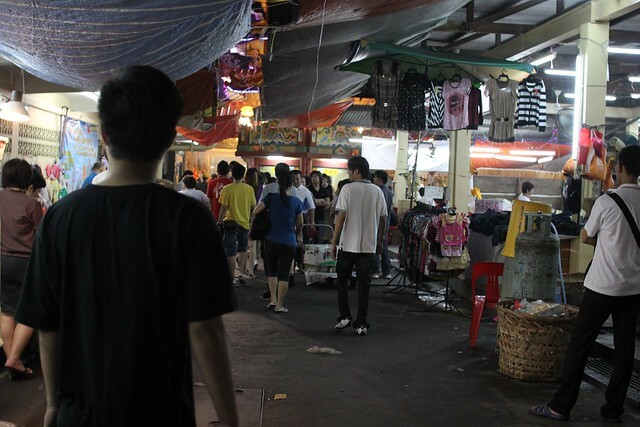 Quite many street food in vegetarian style, there’s toys, there’s pirated DVD, there’s fortune teller, there’s clothing, there’s Chinese opera, and there’s lots of people. 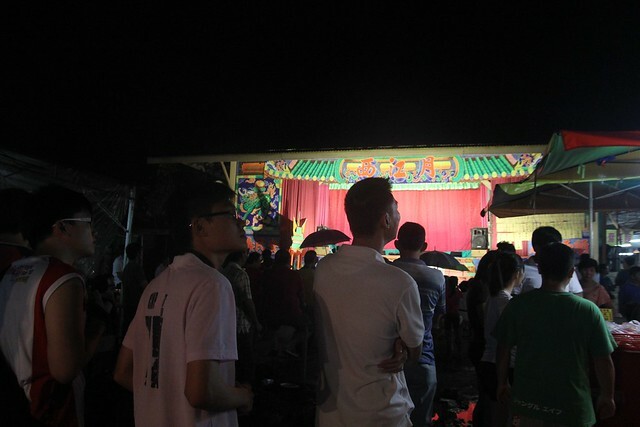 #13: There’s a performing stage for Chinese Opera. 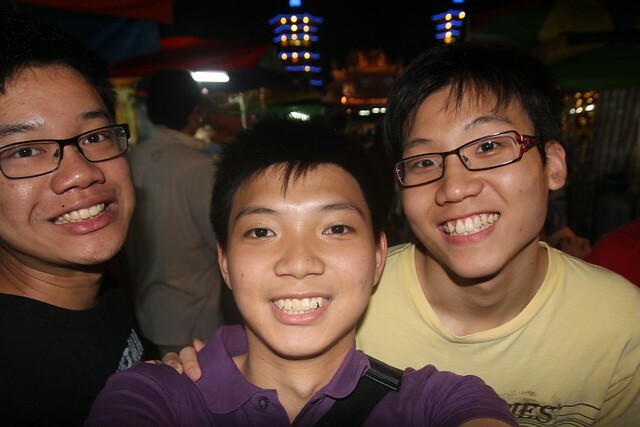 #14: The three Penangites – Tee Jin, Me and Arron wandering around the temple in Ampang, Selangor. #15: Somewhere within the temple. Two beautiful pagodas can be seen here. Lighted up too. 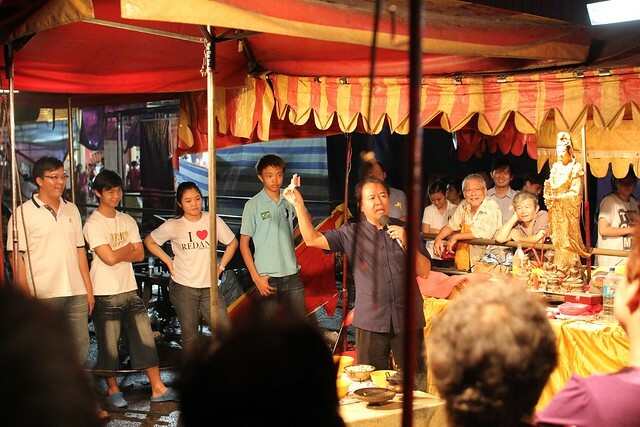 After checking out the “pasar malam”, we went to the temple area to pray. We was actually waiting for procession but I wondered where could the procession goes. 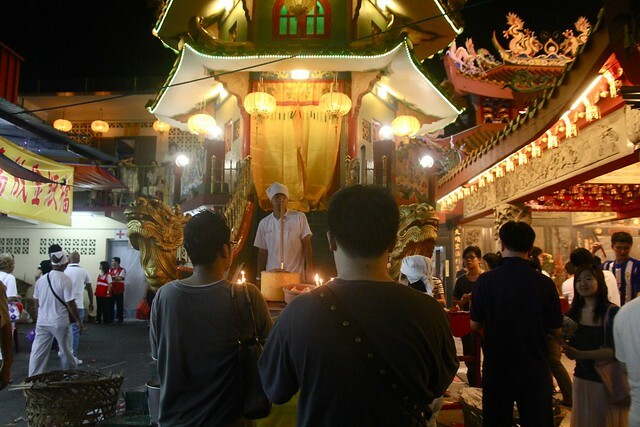 Normally, at this time of time, about 10pm, in Penang, there would be a procession of sending the Nine Emperor Gods back to the sea, but at this place, Ampang, sea is so far away. #16: It’s quite warm at here because of the burning, but luckily it rained before we came so the temperature around wasn’t that warm at there. So we asked the people around and found out that there’s no sending the god back to the sea, but there’s actually sending the god back, at about midnight 3am, which we didn’t really get to see. 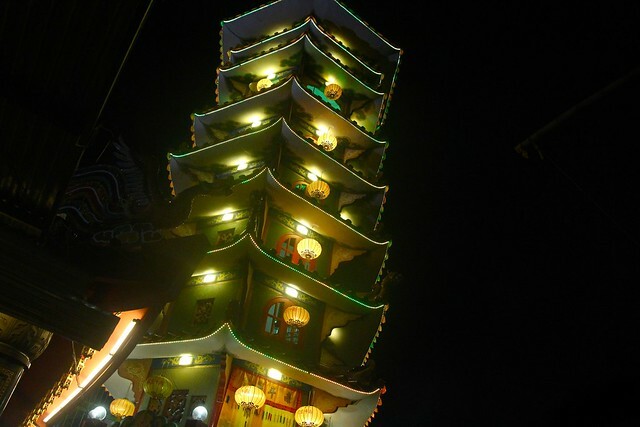 #17: One of the pagoda. #18: Ceiling in the temple. 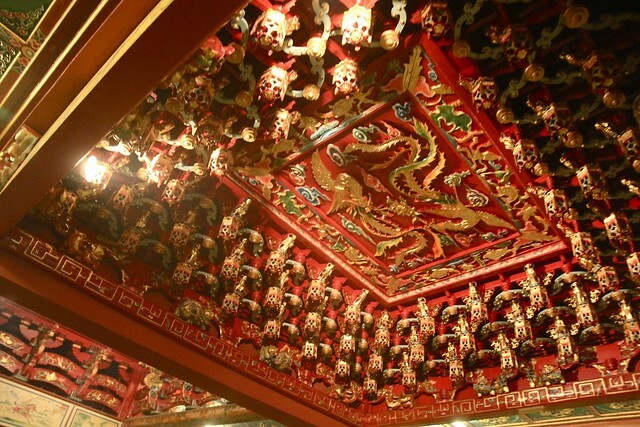 Filled with beautiful Chinese ornaments and decoration. It reflects the grandness of the god with the blend of golden and red colour. 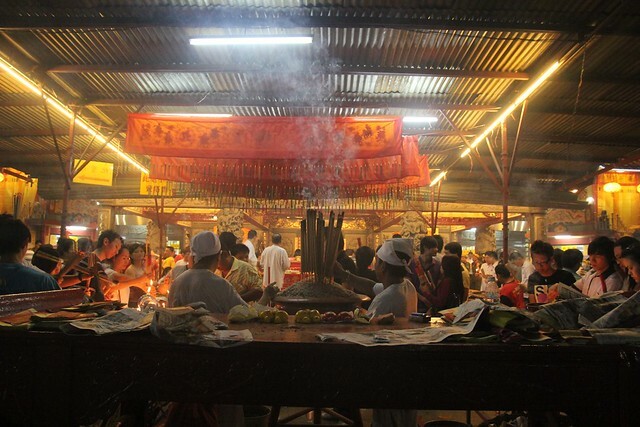 #19: In the temple, it’s very crowded and smoky with all the smoke of the joss stick filling the air. It’s quite irritating for eyes. 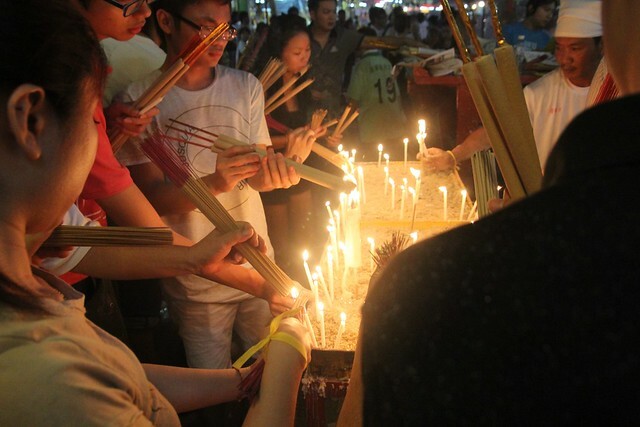 We bought the set of joss stick and candles and we prayed. 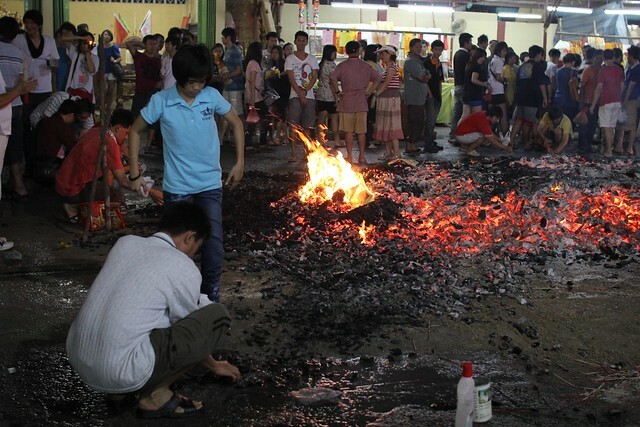 It was really crowded, the smoke was really very heavy, it’s not easy to walk around the temple, it’s best to wear a goggles around. #20: The sifus working out at the altar area. 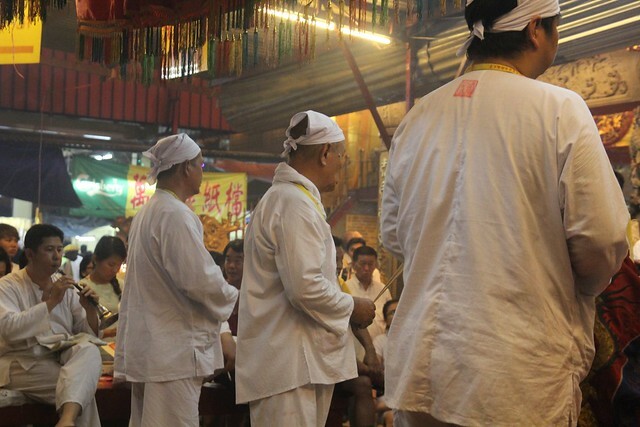 #21: Lighting up the joss stick for praying and serving to the Nine Emperor Gods. 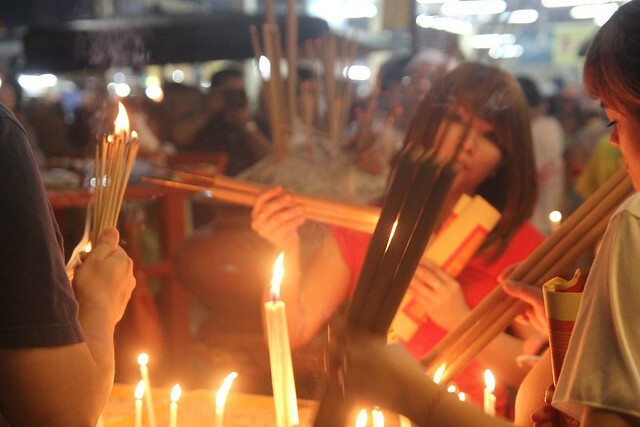 #24: More people lighting up the joss sticks. #27: Photo at the road sign before we went home. After praying, we went back. 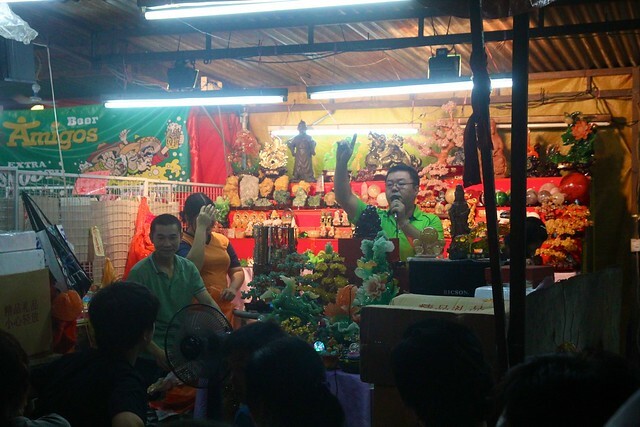 I’ve got to say, the festival of Nine Emperor Gods in Ampang and Penang are totally two different thing. 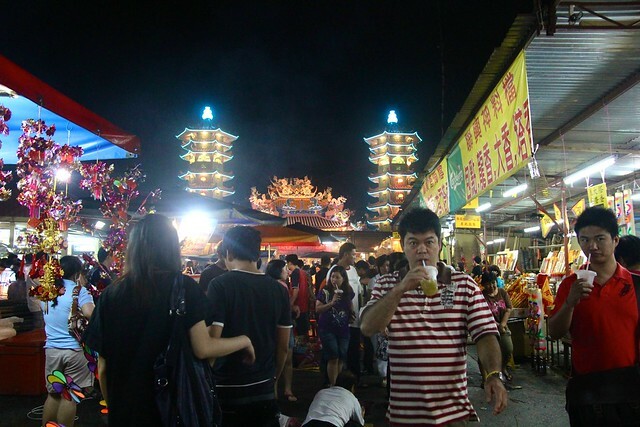 At Ampang, you stuck on one place, you only buy and pray, whereas in Penang, you follow the procession, you snap photograph, you see the Chinese-style Thaipusam and you walk. You should check out my post on the Penang’s one and you will see the difference. Weeeeee.